Just a friendly reminder that we will be meeting this coming Saturday, April 27 to beautify our school. We will be cleaning up flower beds, planting pansies, painting my office, and other projects. Remember, lot’s of hands make for little work! We would love to see you!!! Please bring any yards tools you amy have to help in our gardens. Also, if you have a favorite paint brush or roller, bring it along. I do have some paint supplies. Saturday, April 27 from 9:00 am – 1:00 pm. Come for the entire time or come for a short time! Please RSVP if you are coming. I want to make sure I have enough coffee and donuts! The other event is our Parents Night Out on Friday. This is a great way to get some fun babysitting for your kids while enjoying an evening out alone (or even with other KHS parents). There are still slots open, and the sign up sheet is to the left of the whiteboard in the main entryway. Ask your teachers for more information. For so many of us, saying “I am sorry” is our first response when we do something to another person. It’s no wonder that we have passed this first response on to our children. However, having a young child say “I am sorry” carries little or no meaning. It’s an empty apology if you will. In order to truly be sorry you must have the ability to empathize. In order to empathize with someone you must understand what they are feeling or better yet, understand with emotion what they are feeling. Young children do not have the developmental ability to understand what another person is feeling. They are not capable of putting themselves in that person’s place emotionally. Therefore the phrase “I am sorry” carries no meaning. Typically children are not sorry for an action that caused another person to be sad, angry or frustrated. The phrase “I am sorry” then becomes an empty apology, a get out of jail free card. Now, I am not saying that we let children off the hook entirely! In order to learn empathy we must teach empathy and model empathy. Like any other developmental stage, it must be facilitated and nurtured. We must be good role models for young children, allowing them to watch us be kind to others, to treat people with respect. That includes respecting young children. When a child is disrespectful to another child at Knight Hall we do not ask for an “I am sorry” we ask them to see if the other child is okay. We point out that the other child is crying due to something that child did to the other child. We facilitate an encounter between the children that allows them all to see that they have an impact on each other. That they themselves can actually cause someone else to feel sad, angry, frustrated and happy! This is a process, just as learning to use the toilet is a process. All developmental understandings take time, patience and most importantly facilitation. It is so important to help children learn to be empathetic, but don’t expect your child to have a good sense of empathy until they are about 7-8 years old. Help them learn that skill not by having them say “I am sorry”, but by helping them to see that their actions have an effect on others. Have you turned in your Parent Survey? Earlier in the week a Parent Survey was sent to all of our families via email and via your child’s cubby. Have you completed your survey? Every survey allows us to make changes to make this the most amazing community for you and your child. all feedback is welcome and most wanted!!! So, if you haven’t completed your survey please do! If you have completed your survey, THANK YOU!!!! All surveys are anonymous. Please do not hand your survey to a teaching staff member. There is a box in the shared area, behind the round sink labeled “Parent Survey”, please place your survey in that box. Thank you so much! We all look forward to sharing our findings with all of you! What does a quality early learning program look like? The process of choosing an early learning program for your child can feel very daunting! So many people give you advice and yet typically those people are not early childhood educators. If you aren’t feeling well, you typically would see your health care provider. If you need legal advice you contact a lawyer. If you need an early learning program for your child you call your…? You call an early learning program! It is so important to find a school that works best not only for your child, but your entire family. A program that creates an environment that is welcoming, safe, and nurturing. With these 3 things in place a child will grow to be a confident person; eager to learn and ready to take advantage of all of the amazing learning opportunities a quality program has to offer! * Staff credential. Do the teachers have a degree in Early Childhood Education? * Low staff turn over. Knight Hall has an average tenure of 8 years! * The curriculum should be based on solid educational theories and have an assessment that lines up nicely! * The classroom is organized, labeled and large enough for children to move from one area to another. Please do not confuse organized with neat! A typical class room is busy! When I say organized I mean that shelves are labeled, materials have a specific place to be and that children are able to find and replace material with ease. Our class rooms are “neat” twice a day, when we open and when we close! 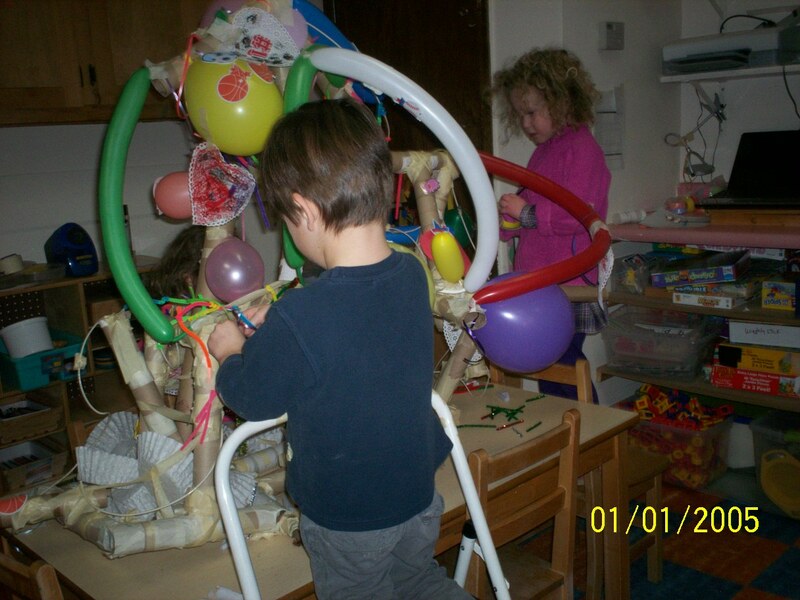 In between there is a whole lot of learning going on and learning is messy! * The walls should show children’s work, not teachers. Activities and materials should be open-ended. The emphasis here is on the process, not the end result. The process is where the meat of learning lies. * Most of all it should feel good when you walk in the door! Please do not hesitate to ask the hard questions! Plan to visit the program at least 2 time, one scheduled, one un-scheduled. Plant yourself in a class room and watch and listen to what is happening. Plan to visit at least 3 different schools. This is the best way to get a sense of the right school for your family!